Where is the location you’ve shown us today please. 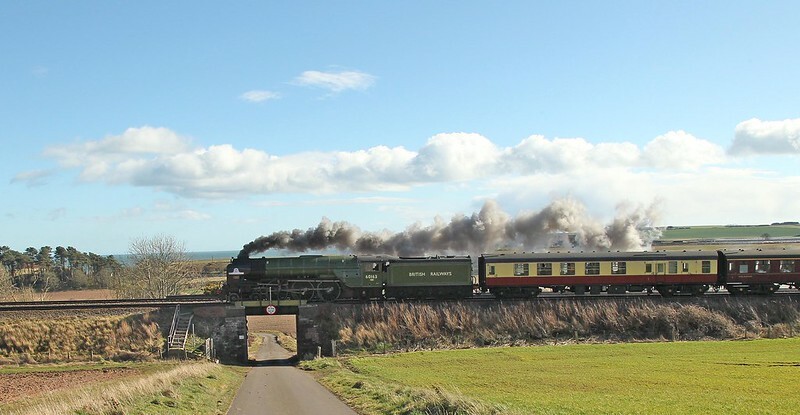 Thanks for the comment, this is on the outskirts of Inverkeilor, the track drops out of the village over the Lunan Water bridge and then climbs up towards the old Lunan station then down into Montrose, I had a hunch they would have to work to get up this bit. Last edited by burnie on Tue Apr 02, 2019 1:39 pm, edited 1 time in total. Yes I recognise the place now, thank you. 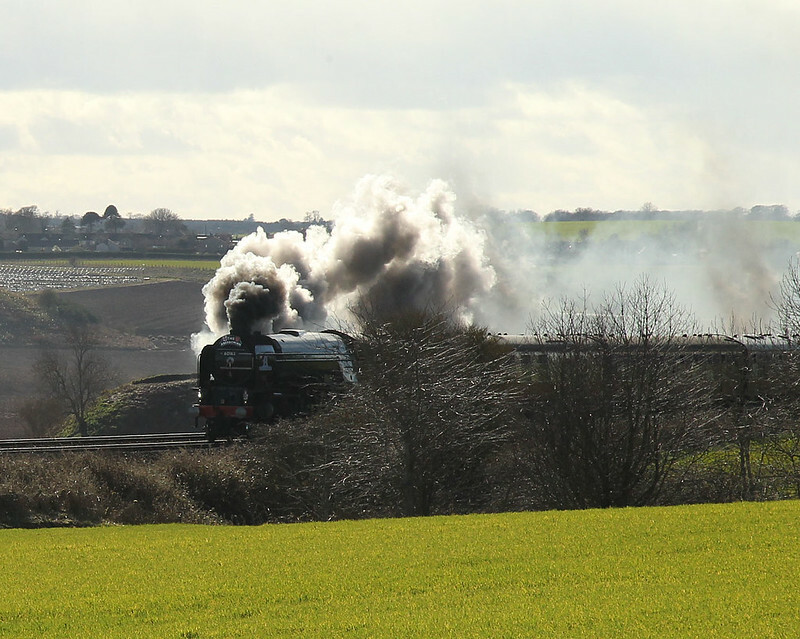 And a round of applause must go to the Ferryhill Railway Trust personnel for making it possible! Looking forward to the visit of 60009 Union of South Africa twice in one week in May on return journeys, yes the Ferryhill turntable is hopefully going to be used a lot in the near future.